“Hottest Games in town” my arse. Basically we relied on the firm who did our printing back in Tadley to do all our ads for us (and a bunch of the early game cassette inlays too, I am sure oldies who remember those games will recognise the style). Now they were great printers and all and did a great job of producing all our posters and inlays but I think by this time they were reaching the outer limits of their artistic abilities and it shows a bit. 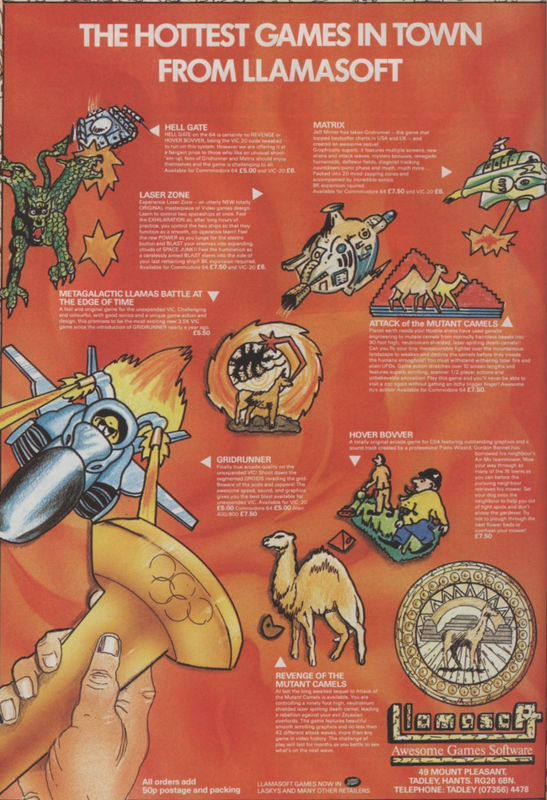 Not that it’s necessarily a bad ad for the time, just that the whole theme is a bit bleh and the hooking onto the Olympics thing is reaching rather a lot given that there’s nary a sports game in the bunch when it comes to Llamasoft games. Really I’ve never been much into marketing and to this day I have a kind of cringing aversion to own trumpet blowing, perhaps to my detriment in an age where it seems the most effective way to sell a game is to yell LOOK AT ME as loudly and frequently as you can, preferably whilst jumping up and down naked and painted dayglo orange. 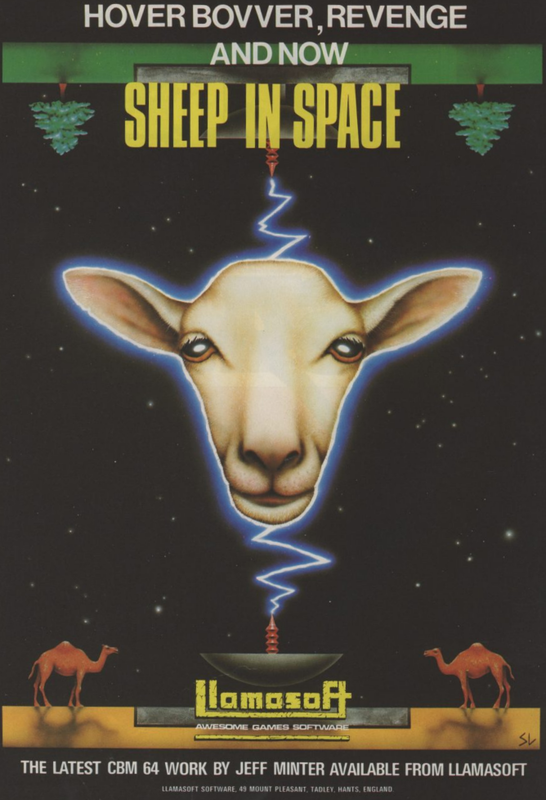 Llamasoft always was (and still is) primarily about just making stuff that’s cool and fun. When we went to trade shows all we basically did was put out computers with all the games on them and let people come and play and judge for themselves, and also just to hang out; in the end the shows for us were more of a social thing than any kind of marketing effort. In that kind of scenario this old Olympic themed ad seems a bit out of character for us. Luckily for me then that at one of those very shows a young chap came up and asked me if I’d be interested in seeing his portfolio of artwork. I’d not really given much thought to hiring a proper artist but I thought it couldn’t do any harm, and boy was I glad I did. That young chap was an artist by the name of Steinar Lund and the stuff in his portfolio blew me away. he’d done work for Quicksilva before I think, so I’d seen some of his earlier work, and the thought of having him produce some of his great artwork for us was pretty exciting. It also fit in with the Llamasoft way of thinking. I wanted his work in our ads not just to promote the games but also because it was just damn cool artwork. Which I am sure you will agree is a lot more memorable and pleasing to the eye. Steinar was always an absolute delight to work with – he’d come down to discuss a new project and then go away to do a bit of research and then present us with some preliminary sketches, one of which I’d choose to be developed into the finished artwork. He’d look at the game we were working on at the time and he always managed to come up with something that was both appropriate and awesome. His artwork came to define the look of Llamasoft’s packaging and advertising throughout the 8-bit and early 16-bit eras. This is the actual sheep that Steinar used as a model for the sheep in that ad. 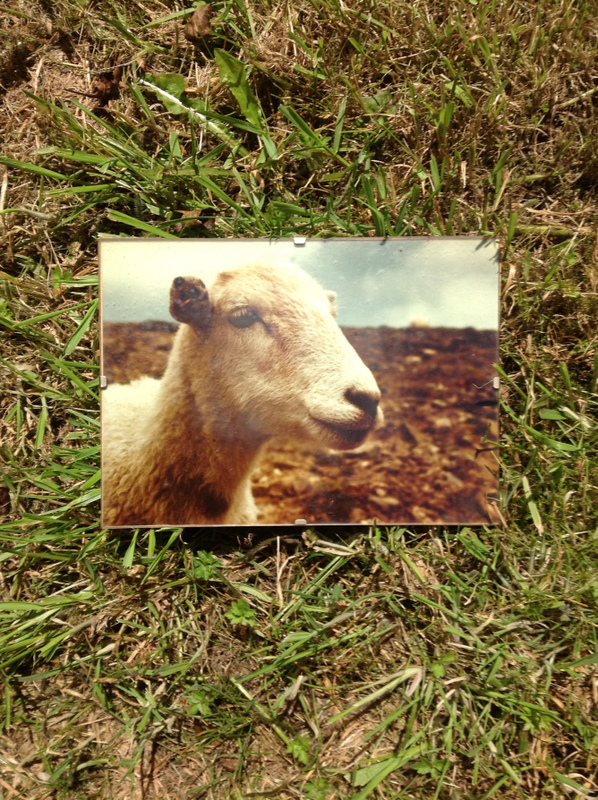 He went out photographing sheep as part of his research and this one became his model. He gave me the photograph at the time and I’ve kept it framed on the wall ever since .